Most of us tend to find ourselves either wanting more stuff or hoarding the stuff we already have. There's nothing wrong with stuff, but if we aren't careful we end up serving our stuff rather than our stuff serving us. What we need are financial guardrails in our lives! See a powerful guardrail Jesus gave us to ensure that we enjoy and use our resources as God intended them to be used. Have you ever wished you didn't have to make hard decisions in the heat of the moment? We all do. Guardrails are intended to help drivers spot potential danger and protect us when we veer off the road. In life, God calls us wise when we are willing to put guardrails in our lives which do the same. Join us as we see that some of the best decisions we could ever make are the ones we never actually knew we were making. Easter is the celebration of how Jesus was once dead and is now alive! 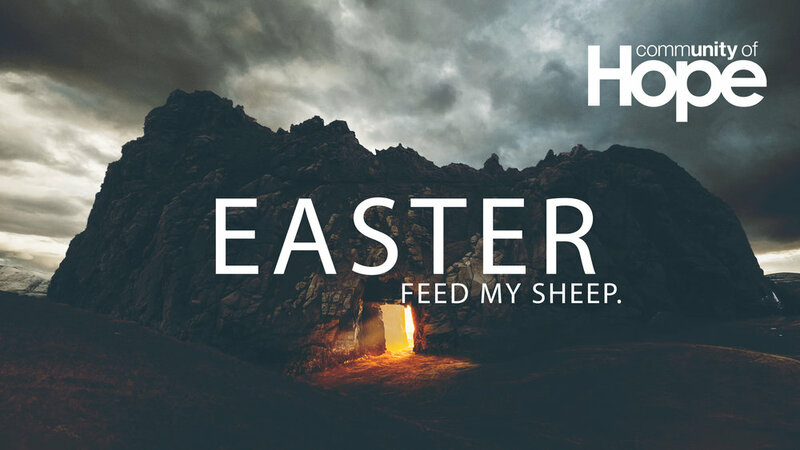 But theEaster story can be our story as well. Though we find ourselves "dead" in our sins, Jesus can make us "alive" again. And when we are at the end of our rope, God graciously pursues us and rearranges our life in a way we never thought possible. Our children's ministry is growing, and we want to grow with it! As we revamp and grow our capacity to show the next generation real relationships with people and Jesus, we have exciting things to share with you. Join us as we invite you to participate in the next wave of shepherding our kids in the name of Jesus. Sheep know the voice of their shepherd. They don't ever follow the voice of a stranger because they do not trust strangers. What if we Christians chose to only listen to the voice of God and never followed the other voices who want to lead us to destruction? Join us as we identify the difference between the voices that want to destroy us and the voice of the One who wants to take care of us. It's easy to forget that we are continually on a journey with our Shepherd to our final resting place. Join us as we learn that all of Scripture is an account of God leading His flock from their first pasture to their final resting place. We will also see that He uses people to shepherd His flock, and yet, His sheep are able to say that they truly lack nothing. Do you ever feel like you just can't ever seem to have enough? Psalm 23 reminds us that the Lord provides more than enough for us. We see that having "enough" is more a matter of knowing where to find what we need than achieving what we think we need. There are good reasons why God is likened to a shepherd and we to sheep in the Bible. When we understand how we are like sheep, we'll better trust that the shepherd will take care of us. There's no better place to be than in the care of one who never stops providing for His own. We continue our study of Psalm 23 and see that the shepherd knows what each sheep needs. "The Lord is my shepherd, I lack nothing." Partnership. We don't just talk about it; we live it! 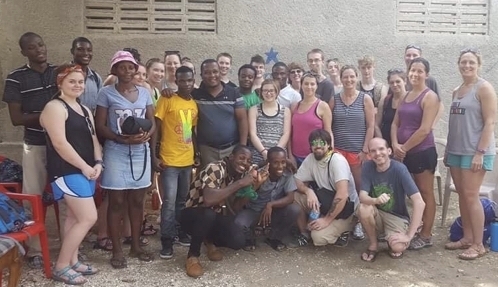 The team of 14 we sent from our church has returned from a week with our partner church in Cabaret, Haiti. Join us as we hear what God did while they were in Haiti and share in the joy of how God is blessing our partnership with Pastor Jackson and the church in Cabaret. How does God handle bullies? We may be surprised to see how God goes on the offensive to deliver His people from oppression. Join us at 10am as we learn from the minor prophet Nahum. Why do some people always find ways to rejoice even when life is hard while others can't seem to ever rejoice in any circumstance? A few simple disciplines make the difference between deep, spiritual change and deep cynicism. Join us as we see the power in choosing to focus on what is within our control and letting go of what is outside of our control. Why is deep spiritual change sometimes so hard to experience? What are the secrets to changing our behaviors and our hearts? As we begin a series of conversations, we invite you to join us for part 1 as we see that your behavior ought to reflect your redemption because your Redeemer wants what is best for you. 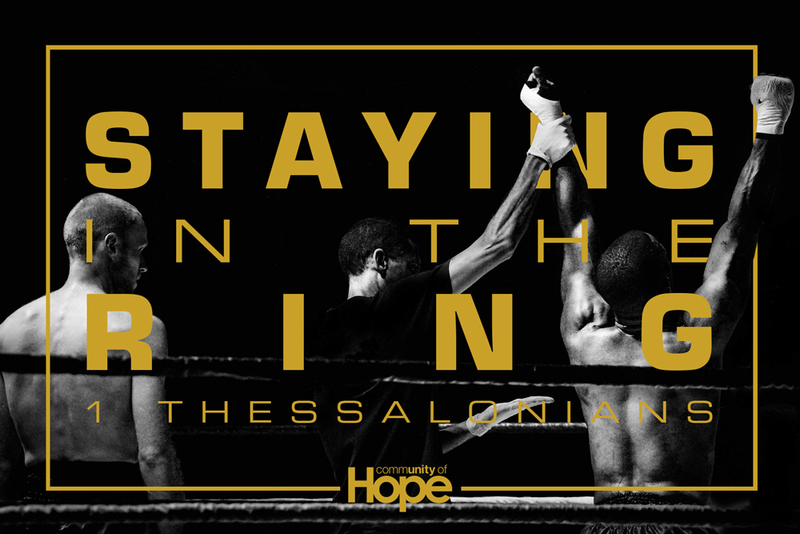 The Christmas story is a reminder that God is for the underdog. It was the lowly shepherds who received the good news of the birth of the One who would rescue us from sin and death. Furthermore, God invites each of us to come to Him as we are so that He can change us into who we were created to be. We'll see how we have a "Good Good Father" who welcomes us with open arms into His family, no matter how lowly we think we may be. We have all heard the story. An angel interrupts a young virgin engaged to be married and tells her that she will supernaturally conceive a baby who would be named Jesus. It's the stuff of household decor. But there's more to this story, both for our understanding of Jesus and for our own lives. We'll see that a heart that truly desires God will never regret God's wonder-full plans. Waiting. Waiting in traffic. Waiting at the checkout line. Waiting for your tax return. Waiting for the family to get ready for church. It's part of life. But then there's waiting for the BIG stuff. You don't know what to do and God seems silent. Time is running out and you are losing faith. What do you do? God might not give you the full picture of what's going to happen in advance because waiting is part of his good gift to you! The Christmas story is the same every year. Mixed with exciting commercials of the latest "gotta have" toys for children and adults alike, it can get a bit...boring. Same story. Same nativity scene. Same Christmas season festivities. What we need is to rediscover our God-given sense of wonder. 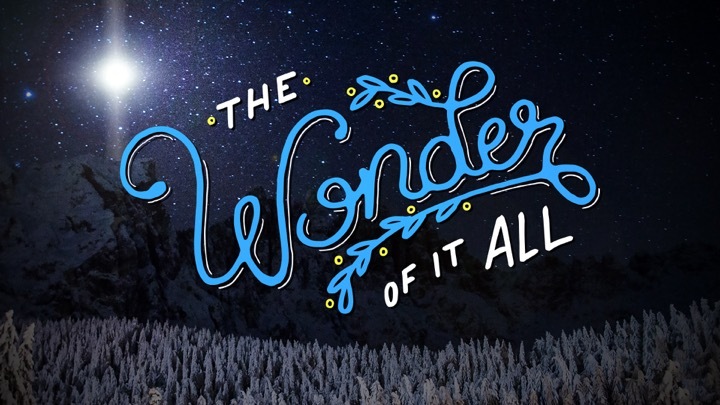 Join us as we see that Jesus came to earth awaken us to the wonder of God. It is a wonderful week to be thankful for the abundance of God's provision and the ways He has been at work in His Church! This Sunday will be a special spotlight upon our church partnership in Haiti. Dan O'Deens, founder and Executive Director of Breathe Partners, will share with us. We've spent the last 9 weeks talking about "loosing the chains" of injustice for many groups of marginalized people. We've heard many different voices addressing the topic. What do we do now? Is this a passing fad; a topic we'll put in the archives to be forgotten? Or will this be a defining point in our church? Join us as we look into the future and commit ourselves to faithfully following through to listen, learn, lament, lead, and labor on behalf of injustice in the name of Jesus! There may not be any group more vulnerable in this world than those without a mom or dad to care for them. Orphans are among those God clearly told us to care for in our world (James 1:27). This "Orphan Sunday" will be a chance to learn about how each of us can play a part in eradicating the orphan crisis in our world. Each of us can do something to "loose the chains" of injustice for kids who desperately need someone to intervene on their behalf. This past week in NYC, there was another terrorist attack on our soil. This tragedy reminds us of the challenge we have as followers of Jesus to wrestle with what we are to do with immigrants, refugees, and those who invoke "terror" in us. Join us this Sunday at 10am as we talk about a Christian response to the immigrants and refugees that come to our own backyard of Fort Wayne. There is nothing like spending time with friends visiting from out of town! 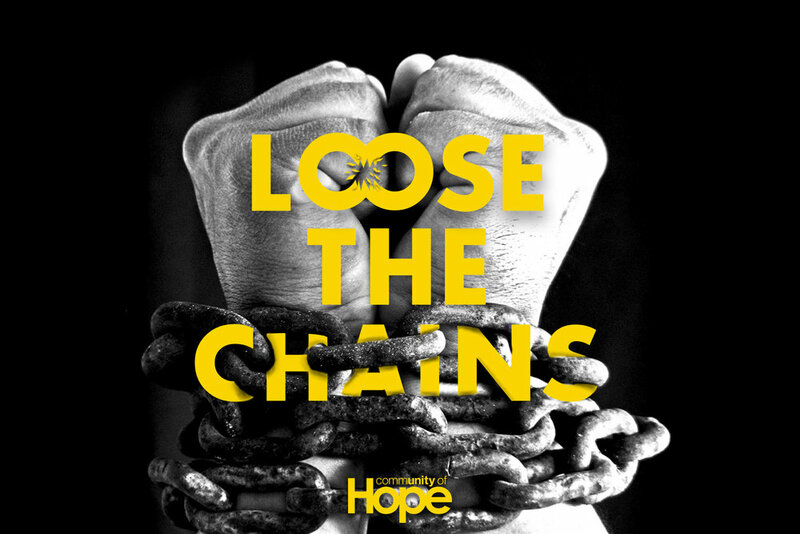 Mike, Connie, and Tiffany Tabor from The Happy Church will join us Sunday and add insight into how we can get busy helping "loose the chains" of injustice where they serve in the poorest region of the US. We will also unveil several action steps we are taking to begin doing something about these injustices. Join us Sunday at 10am, as we continue to learn how to be a blessing other people, near and far, with the love of Jesus. Childhood is difficult. But it is not equally so for all. Some kids have it really difficult! This Sunday we will welcome back two different leaders who used to attend CofH and will hear their hearts to help young people within their respective organizations. Join us as Jeff Wike from The Center for Whitley County Youth and Dawnna Plummer from Beloved, Not Forgotten share about the challenges many youth face today and how we can help them overcome the difficult challenges they face. Homelessness is a reality for far more people than we think--even right here in our own community. What causes homelessness? What can we do about it? The Lighthouse is Whitley County's transitional housing facility committed to helping those caught in homelessness become whole again. We hear from Shawn Ellis, Executive Director of The Lighthouse, share how we can participate in bringing real solutions to help "loose the chains" of injustice for the homeless in our own community. Before God can use us to "loose the chains" of injustice on behalf of others, He might need to "loose the chains" of misunderstanding or pride in our own hearts first. How can we remember to "keep the main thing the main thing" with all the angry rhetoric pummeling us from all directions daily? We desperately need a foundation of biblical truth. Join us Sunday at 10am as we learn that the Gospel is Jesus plus nothing else and is for everyone minus no one! We hear much talk of injustice today, but who gets to decide what is just and how the problem should be remedied? What the Church needs is to listen to talking heads less and, instead, listen to God for a fresh word. Does God want to speak to us about the volatile issue of injustice in our world? It's been said by many that, " We were created for relationship," and we agree! Even the Godhead (Father, Son, and Holy Spirit) have eternally lived in relationship. In the church, we call it a Christian community. This Sunday morning, Jeff Gill will be sharing form Romans 12:10, a message entitled, "Every Believer's Role in Christian Community." Somebody said, "The Church is a hospital for sinners, not a museum for saints." Community of Hope, then, is a place where all of us find support and healing in our lives so that we can invest ourselves fully into the work of the Kingdom of God. Join us as we articulate our vision for the future as God's people doing God's work in our communities and around the world. Where are you going? Most of us just try to get through the countless things demanded of us in the week, let alone have time for such frustrating questions. But God wants to re-shape our imaginations in order to give purpose and passion to all that we do. God wants us to pursue the Kingdom of God, the places where Jesus is present and joy, peace, justice, and righteousness are found. Join us as we cover that the Kingdom of God lays claim to everything about us because it is that amazing! "Who Are We?" God has given those of us in His family a corporate identity that we share together. We are much stronger together than we would ever be by ourselves. Join us as we see that each of us has an invaluable role to play in God's Church. "Who are you?" God wants us to answer this question based upon the access we've gained to God through Jesus and the access we give to others because of what Jesus has done for us. The Bible paints a beautiful mosaic of our identity in Christ that is both overwhelming and refreshing. Pastor Jeremy is back from his sabbatical. From the mountains of Tennessee he was asking God to speak in a fresh way. He shares how God answered a gut-level question we probably all ask at times in our lives: "God, am I good enough...?" Join us as we honestly create space to hear God's answer! Join us this week as we explore what genuine faith looks like and how it distinguished a young church in the face of great suffering. What does a "real man" look like? There's plenty of pressure to fit a certain kind of description, but God's definition is simple: a real man is one with character and integrity. This Father's Day, we contrast the character of King Saul and the anointed King David and see that meekness is not weakness; meekness is a humble patience with God's timing and God's plan. Have you ever been thrust into the middle of something you weren't sure you were ready to do? That's how Saul felt when he is made the first king of Israel. Just like us, God asked Saul to trust Him and obey Him so that things would go well for him and the nation of Israel. However, Saul's leadership turns tragic because of Saul's unwillingness to fully trust God. We see that you cannot partially obey God and expect His full endorsement in your life. We want the best for the next generation, but do we take the time to show God's best to the next generation? As we study the life of Samuel this week, we'll see that the next generation will embrace what we prioritize and reject what we trivialize. We courageously seek to honor God in the face of intense peer pressure to do the opposite. Sometimes the most obviously gifted people are not the best leaders. The story of Samson in Judges 13-16 reminds us that true strength is measured not in outward qualities, but in one's trust in God. We rediscover how God powerfully works through his people to accomplish his purposes despite their many inadequacies. Everyone talks about what they "are going to do." Few people seem to follow through and act. God doesn't mind us asking questions when we have fear or doubts, as long as we continue walking forward. Join us as we see the story of Gideon that God doesn't care about our private commitments as much as out public actions. Ever find yourself wishing you had the abilities of someone else? When times get difficult, it is not the most gifted that succeed but rather the most courageous! The Bible is filled with unlikely heroes who leverage their weakness to become a strength and become a powerful change agent around them. We study one of the judges who teaches us that godly influence depends more upon your courage than your charisma or natural abilities. Someone once said, "A smart man learns from his own mistakes. A wise man learns from the mistakes of others. Wouldn't it be better if we didn't have to learn painful life lessons by experiencing them ourselves? As we begin to study the book of Judges, we will glean wisdom to help us in our lives. Join us as we see that when we find ourselves on the "sin merry-go-round", we need to get of! While some people crave leadership, many people have misgivings about being called leaders. In a world pushing against God, however, we need leadership more than ever. As we begin a new, often unpalatable look in the Old Testament we will honestly look at how each of us are called to lead someone against the grain and toward godliness. Join us Sunday at 9:30am as we see that godly people understand who's watching them and who's leading them.